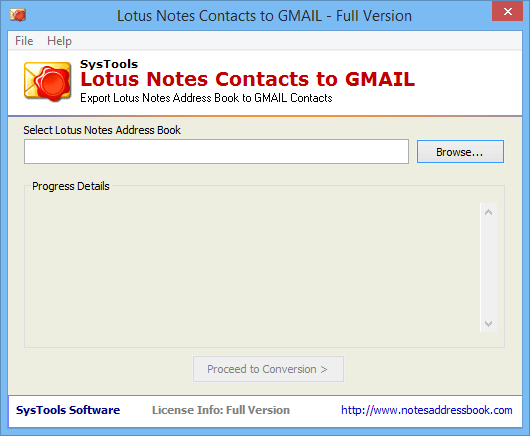 First of all to start the conversion process install and Run the software for conversion. Now the software will do the scan process after the scanning completes click on OK button. Now software will show all the contact details which found in the names.nsf file. Now Click on Proceed to Conversion button. 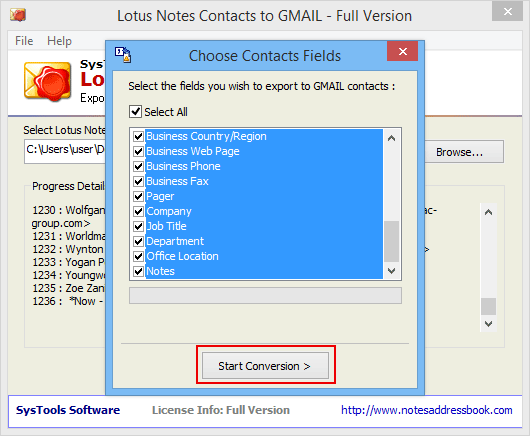 To Start the Conversion Process, Select the fields to converted or imported to Gmail contacts. 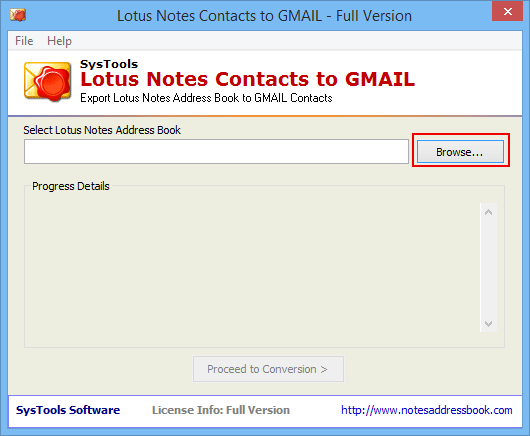 Now choose the location where you wants to save the converted CSV file and click on OK Button. After clicking on Import Option Next screen will pop up which shows you to select the CSV or vCard file from the saved path and click on Import Button. 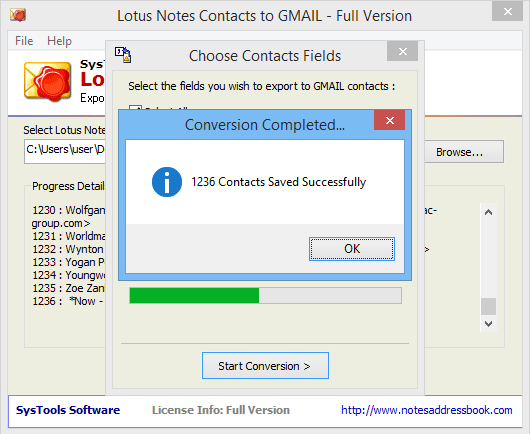 At the end click on imported contacts which shows all the converted NSF contacts in Gmail.